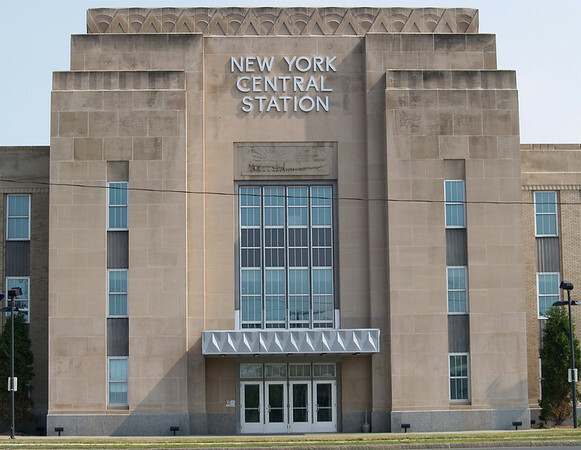 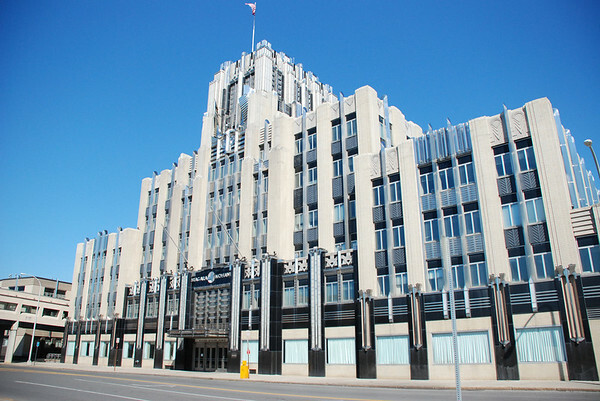 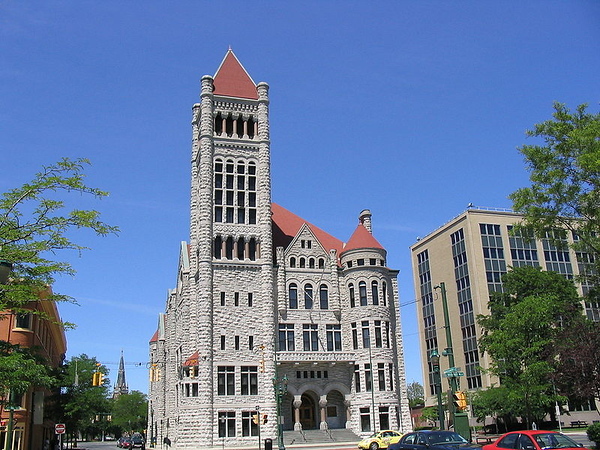 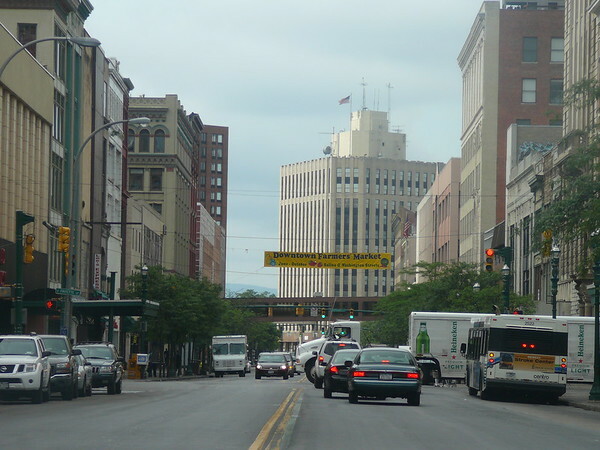 Metro Jacksonville takes a look at the downtown core of Syracuse, NY. 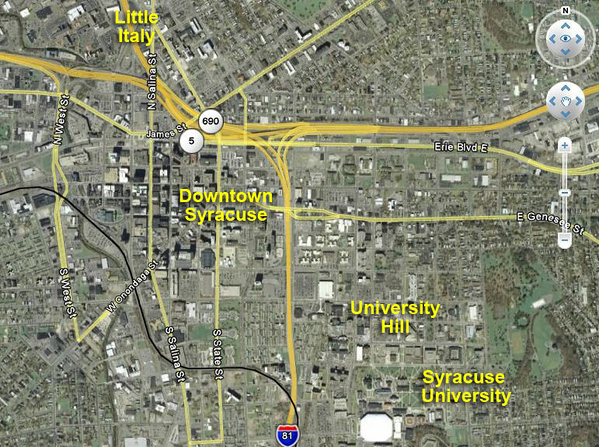 Syracuse: Elevated expressways cut off Downtown from Syracuse University and Little Italy. 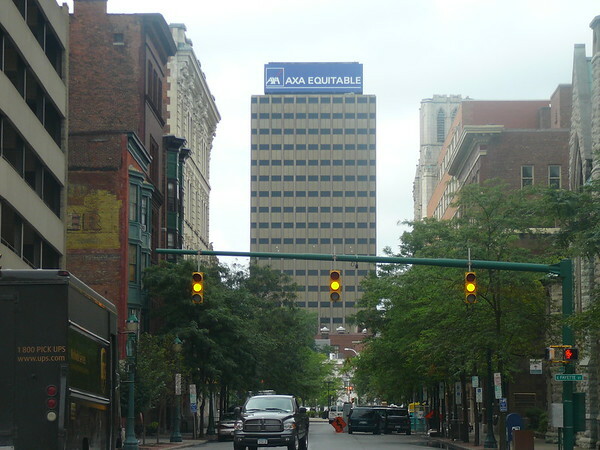 Jacksonville: State & Union Streets cut off Downtown Jacksonville from Springfield. 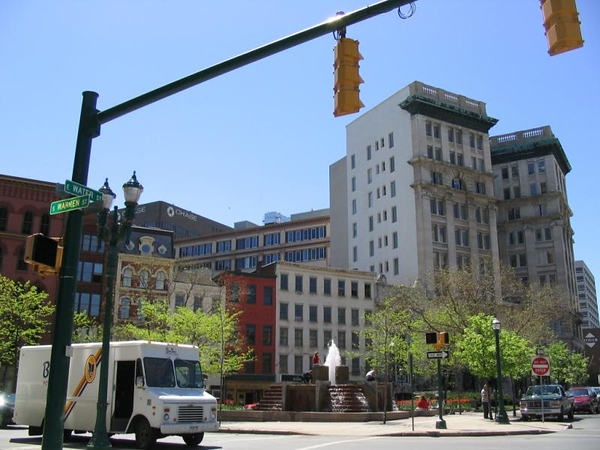 Jacksonville: East Bay Street, located between Main Street and Liberty Street.� This four block stretch is home to four bars and clubs. 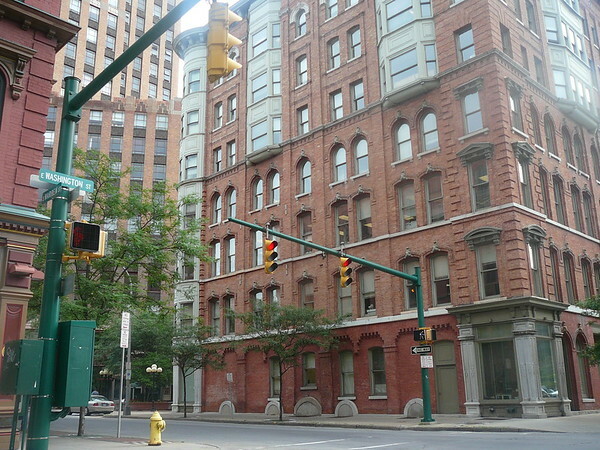 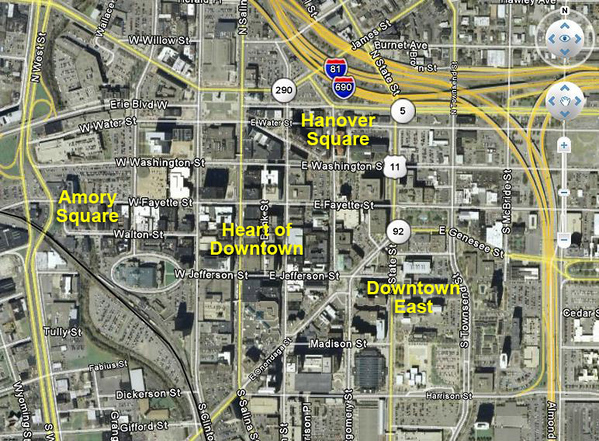 Who's Downtown is more walkable? 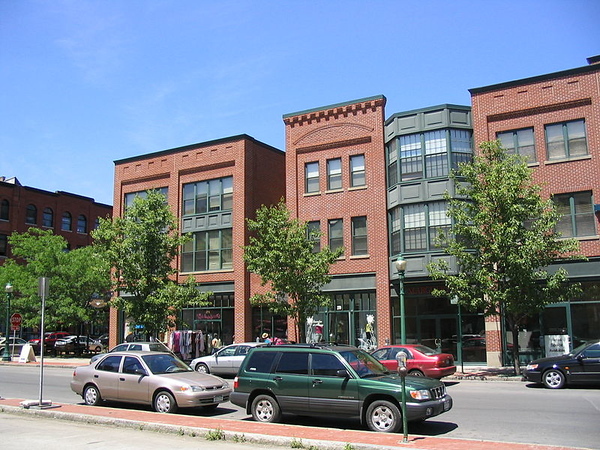 Known as one of New York's brightest examples of urban renaissance, Armory Square is downtown's premier restaurant and specialty retail district. 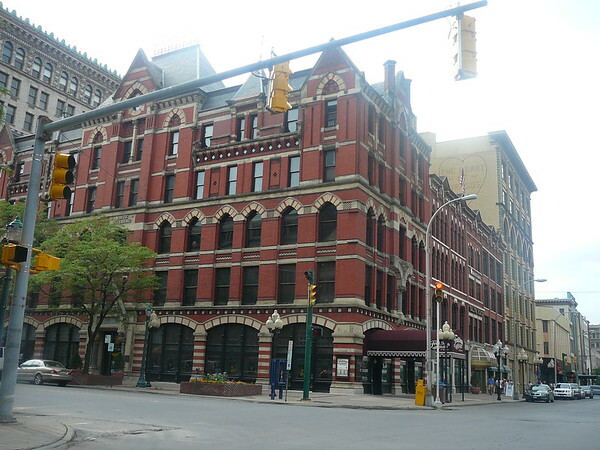 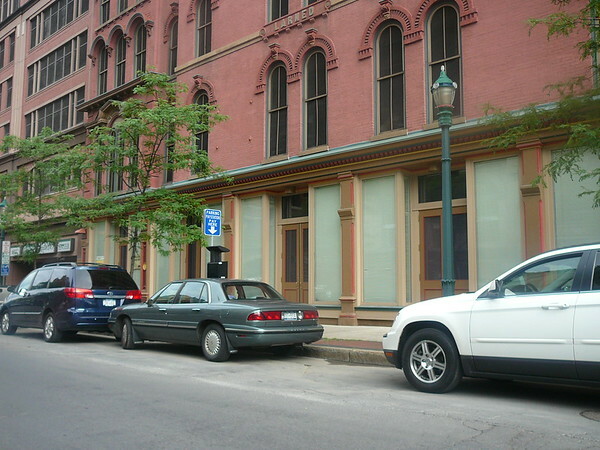 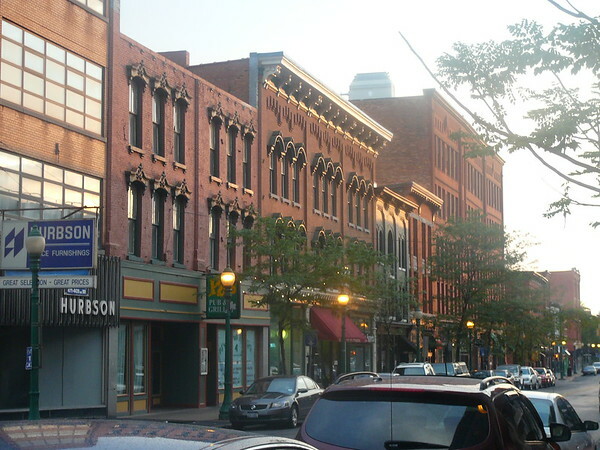 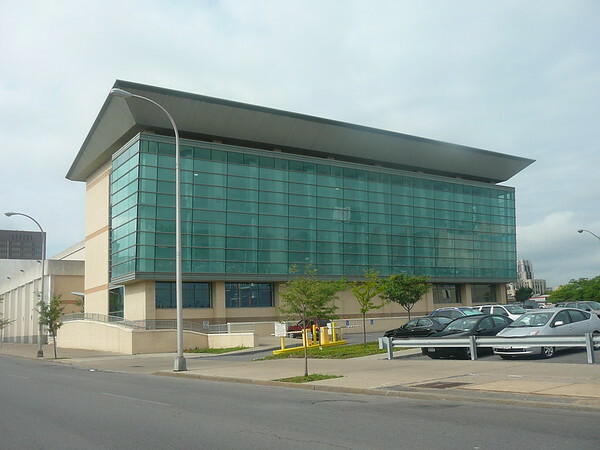 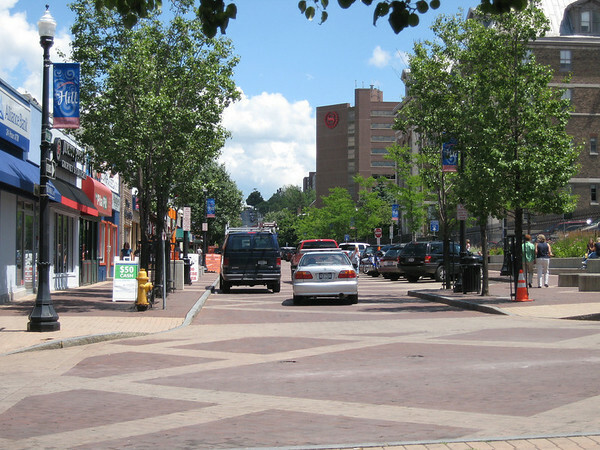 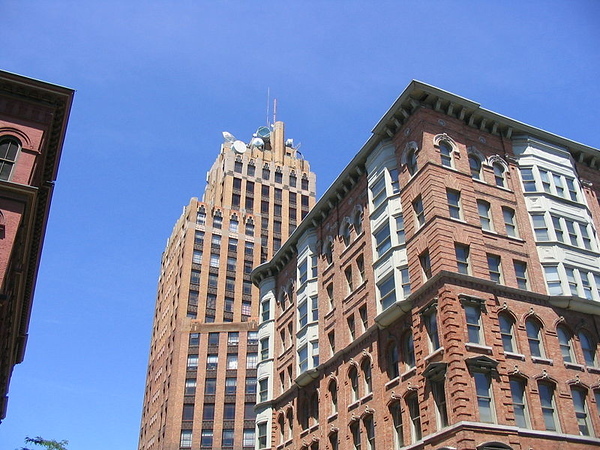 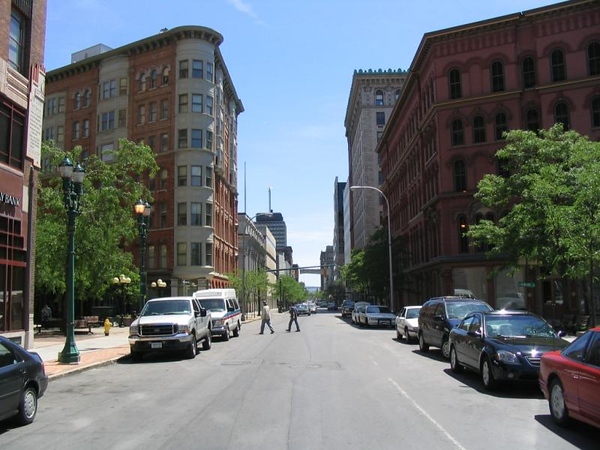 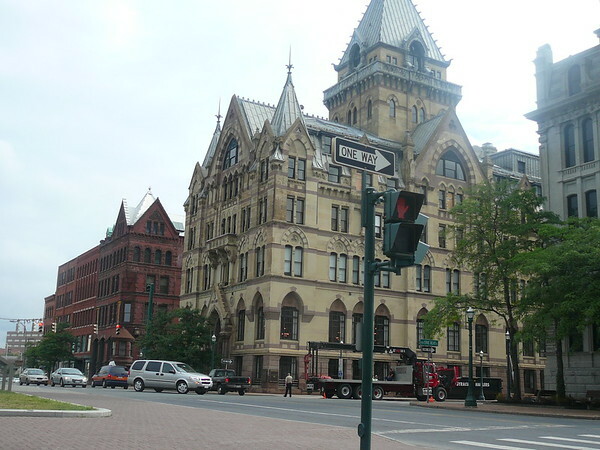 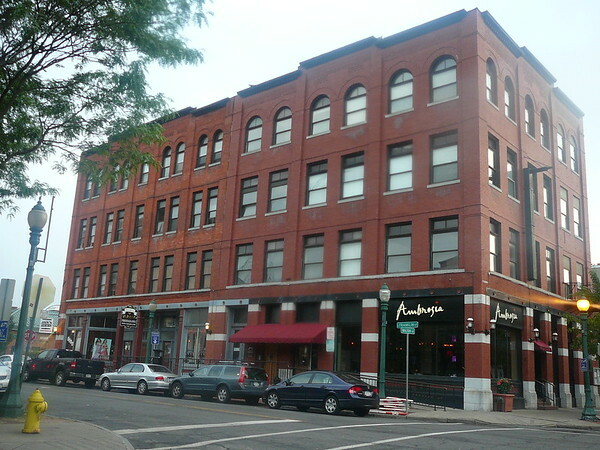 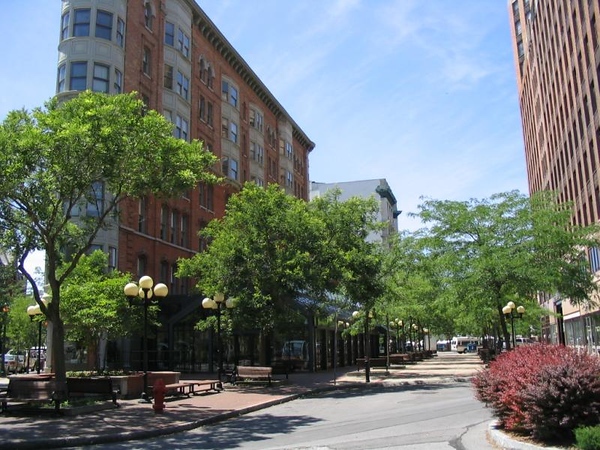 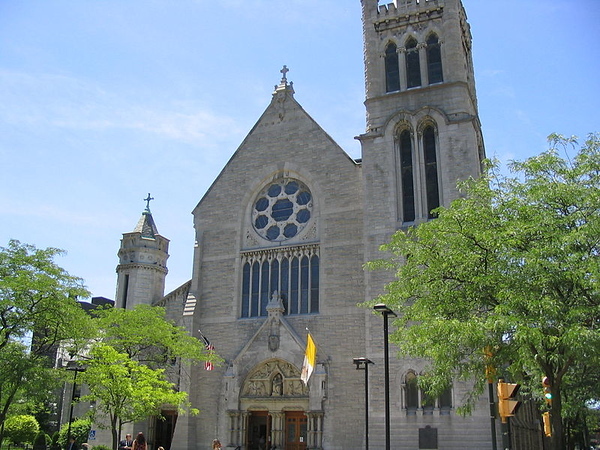 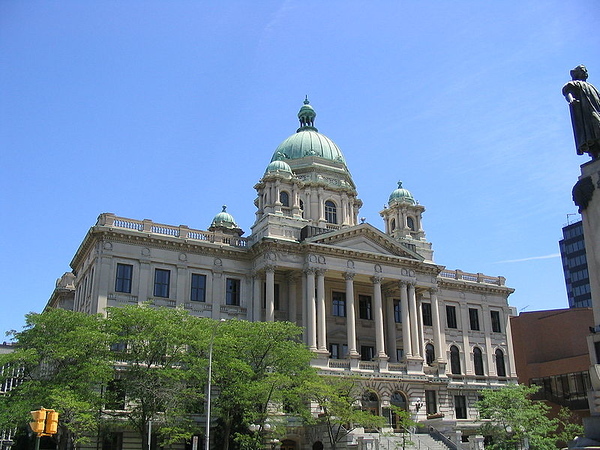 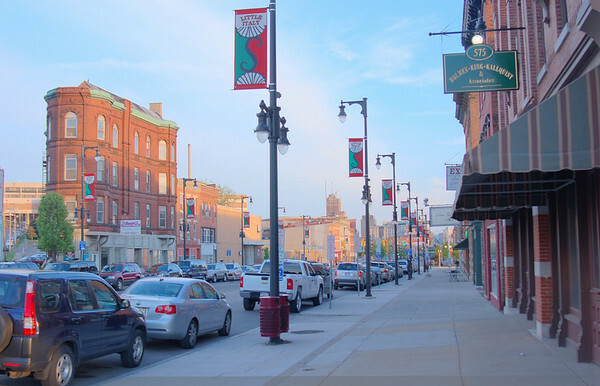 South Salina and South Warren Streets are downtown Syracuse's traditional main streets, which run north and south through the central business district.� These primary corridors are home to a multitude of apparel, accessory, and drug stores, discount retailers and eateries. 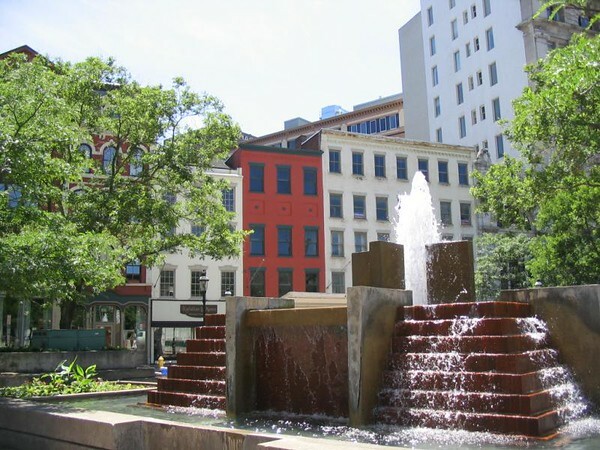 Hanover Square was the site of original Village of Syracuse. 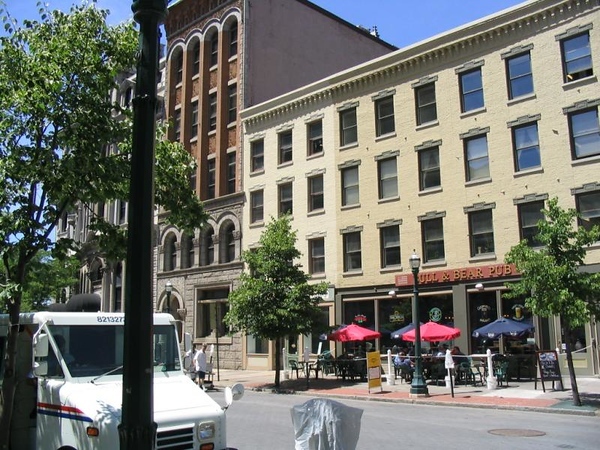 Now listed on The National Register of Historic Places, the Square features a diversity of 19th century architecture, some of which date back to 1834 when a fire leveled the original Square. 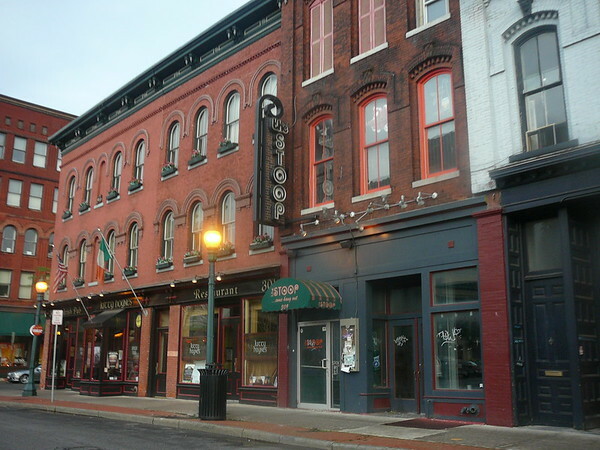 The structures on the north side of the Square were originally canal loft double-enders. This allowed merchants to hoist goods up into their stores from barges on the Erie Canal and then lower the goods by pulley and tackle into wagons in Hanover Square. 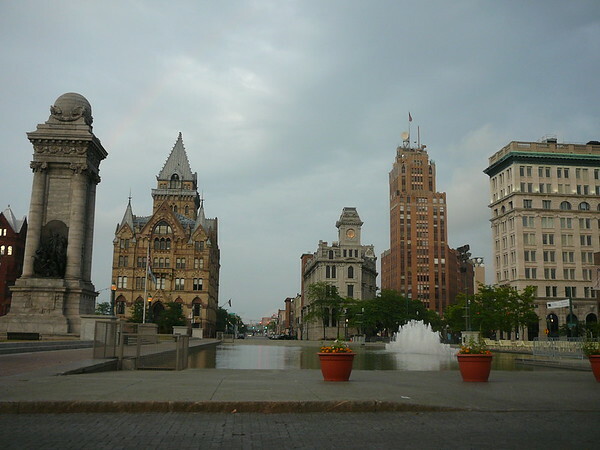 During the Civil War, Hanover Square was the main recruiting area, and the site of spectacular bonfire made from recruiting booths at the War's end.� In 1871, a huge crowd gathered here to witness the first recorded hot air balloon ascension in the Syracuse area. 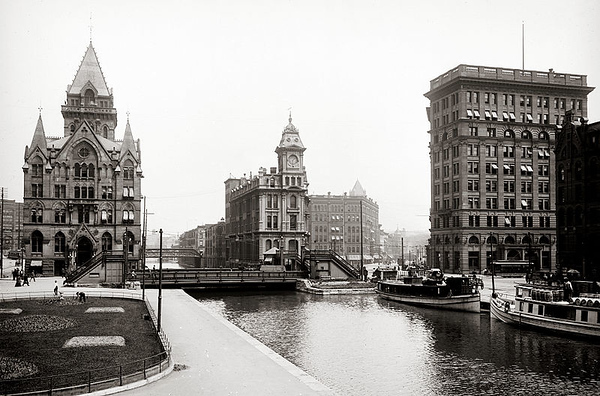 Clinton Square today (above) and during the 19th century (Erie Canal - below). 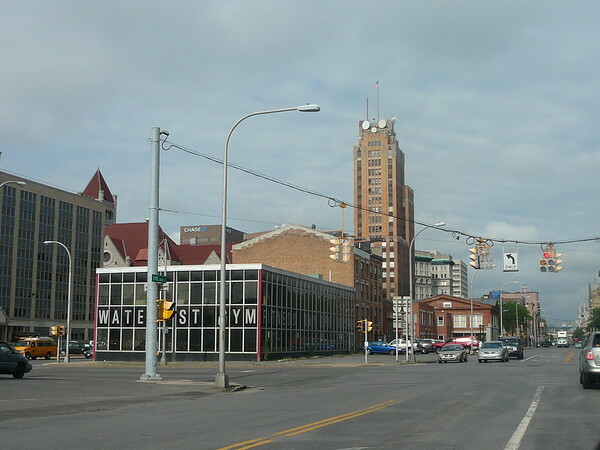 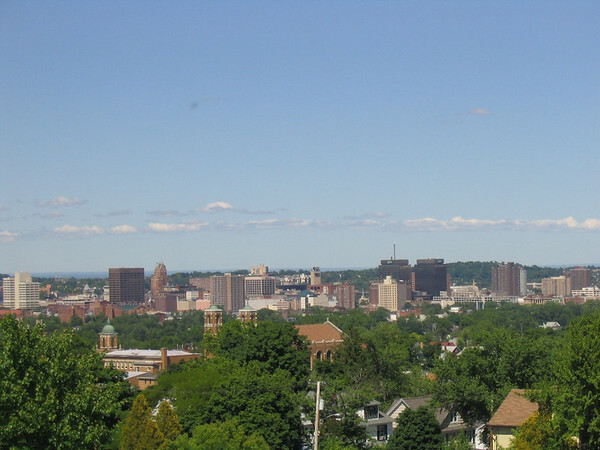 The Downtown East business area is located around one of the largest green-space parks in downtown Syracuse, Fayette Firefighters Memorial Park. 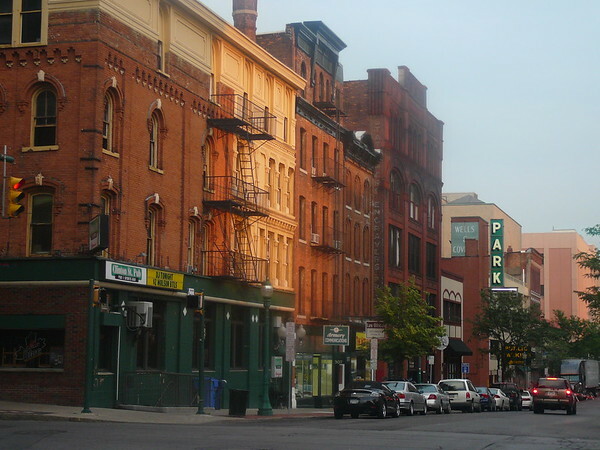 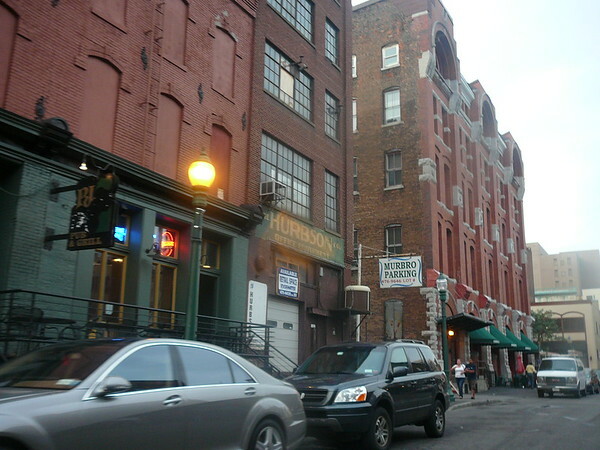 M Street, or Marshall Street, is the main street with restaurants and bars about one block from campus. 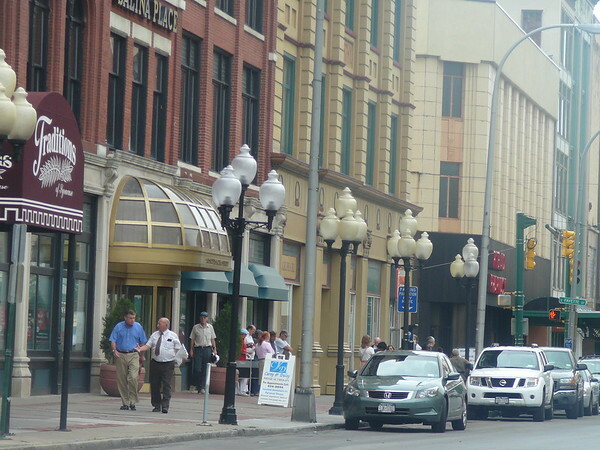 There are several options there for food no matter what your mood is. 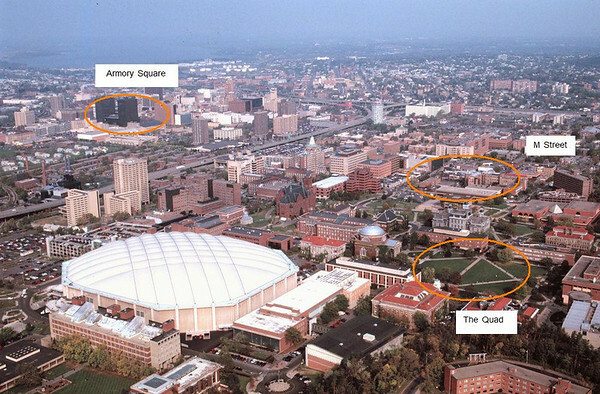 This is the area where most people hang out and tailgate on football game days as well. 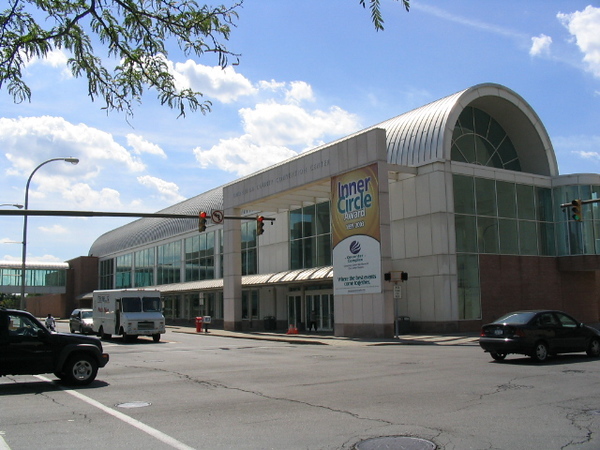 Images by Ennis Davis or credited sources.